August | 2010 | 50 Westerns From The 50s. 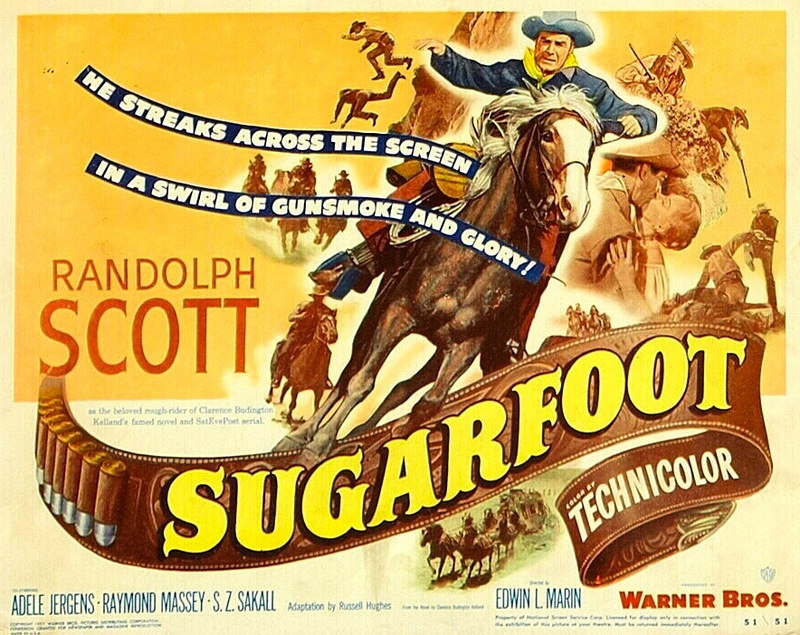 That “western with Randolph Scott” was Sugarfoot (1951). I’m not sure what Neal’s complaint was about being in a Scott picture, but her part went to Adele Jergens. You sure don’t see these very often. 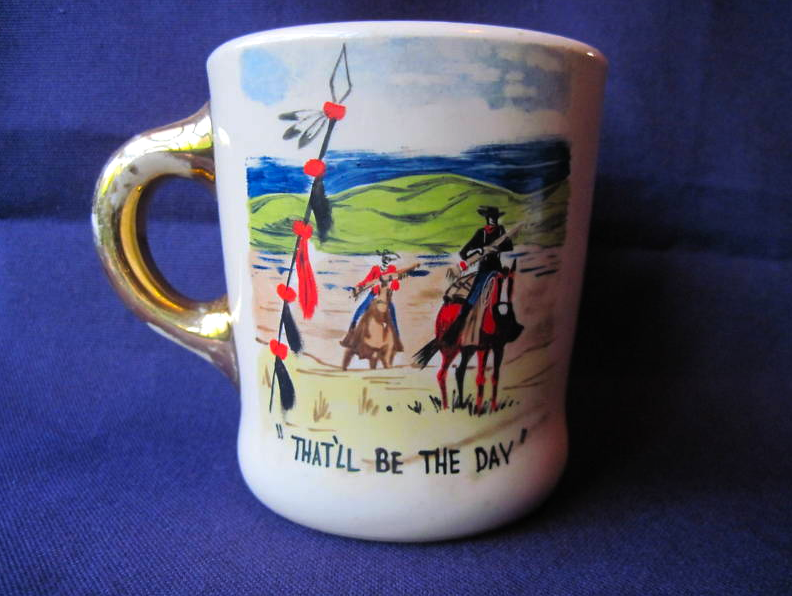 John Wayne presented cups like these to the cast and crew of The Searchers back in 1956. This particular one went to Frank S. Nugent, who wrote the screenplay (based on Alan LeMay’s novel). Nugent was a New York Times film critic who made his way into screenwriting. Beginning with Fort Apache (1948) and up through Donovan’s Reef (1963), he wrote many of John Ford’s finest films. Wonder how much of his dialogue Ford threw out over the years? 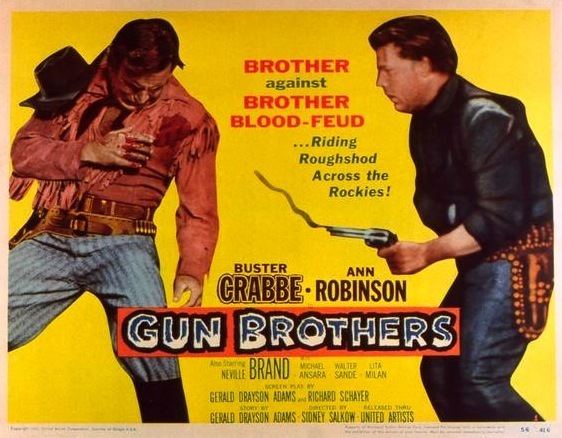 Nugent also wrote a couple of Phil Karlson Westerns I’m quite fond of — They Rode West (1954) and Gunman’s Walk (1958). 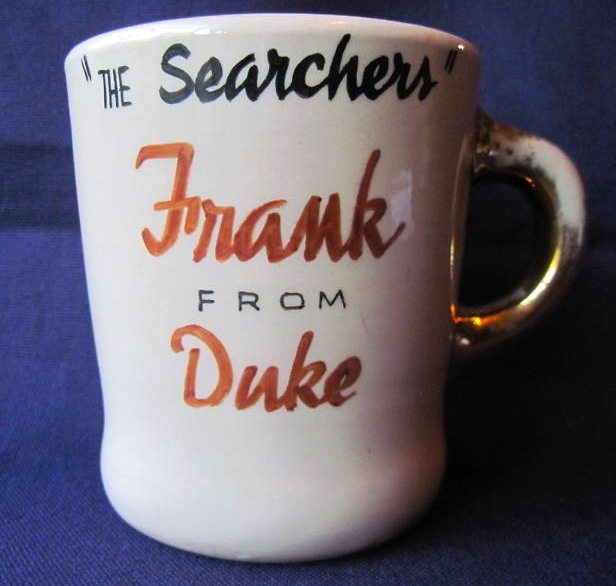 Coming from Mr. Nugent’s estate, this cup is currently on eBay for $3,750.00. Any publishers out there wanna come up with an advance on my book? Say, uh, $3,750.00? 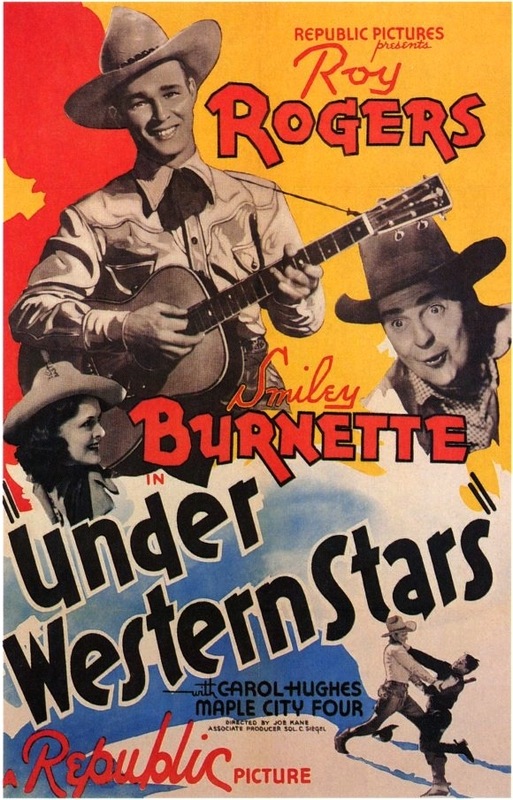 By the way, this is the 200th post on 50 Westerns From The 50s. Thanks to those who’ve been reading ’em. 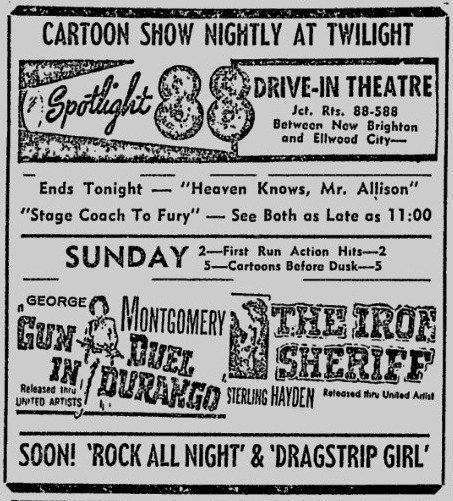 Western Pennsylvania’s a long way from The West, but thanks to the Spotlight 88 Drive-In Theatre, it was crawling with cowboys in May of 1957. Stagecoach To Fury (1957) is a Forrest Tucker Regalscope picture, directed by William Claxton. The year before, Tucker and Claxton gave us The Quiet Gun (1956), one of the better Regalscope films. 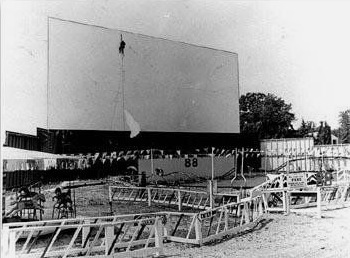 Scope must’ve looked really cool on that wide drive-in screen (right). Gun Duel In Durango and The Iron Sheriff are both United Artists pictures from 1957 directed by Sidney Salkow. The Spotlight 88 closed in 1985 after being hit by a tornado. It boasted a train, rollercoaster and other attractions to keep the kids occupied while you watched people shoot each other. Those were the days. 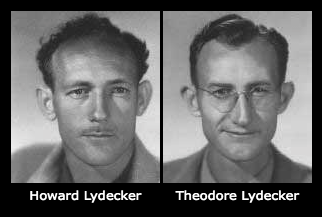 As part of the Republic Pictures 75th event, Bob Burns and George Lydecker will speak on the work of Howard and Theodore Lydecker, Republic’s incredible special effects team — and two of my all-time cinematic heroes. 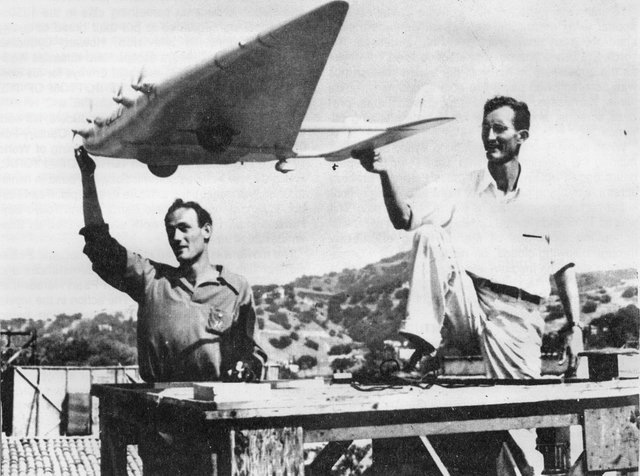 From the fleet of planes, trains and rockets they built for the many Republic serials to their miniature work on Flying Tigers (1942), Flame Of Barbary Coast (1945), and what may be their masterpiece, The Great Train Robbery (1941), the Lydecker brothers gave Republic production values far beyond what Herbert J. Yates was actually spending on these things. While looking for a picture of a Lydecker rocket or something to put on here, I came across a site dedicated to Howard’s terrific Los Angeles home, which thankfully has remained much as it was when he lived in it. 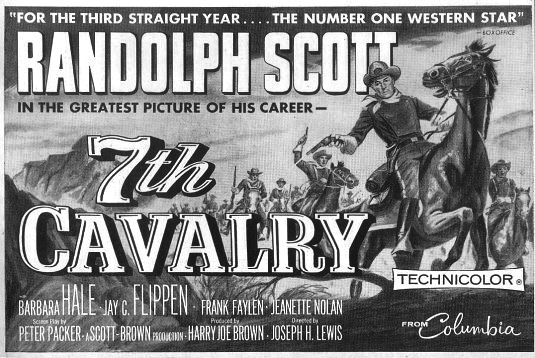 Not long ago, I passed along a tip that 7th Cavalry (1956) was coming on DVD in the UK from Ellstree Hill Entertainment. Starring Randolph Scott, co-starring Jay C. Flippen and Frank Faylen, and directed by Joseph H. Lewis, this would be a great addition to anybody’s collection of 50s Westerns on DVD. If only the DVD looked like something. The word is that the DVD looks terrible. (The tip I received wasn’t quite as nice in its description.) Ellstree Hill releases a lot of public domain titles, which makes you wonder what’s going on with this film’s rights. 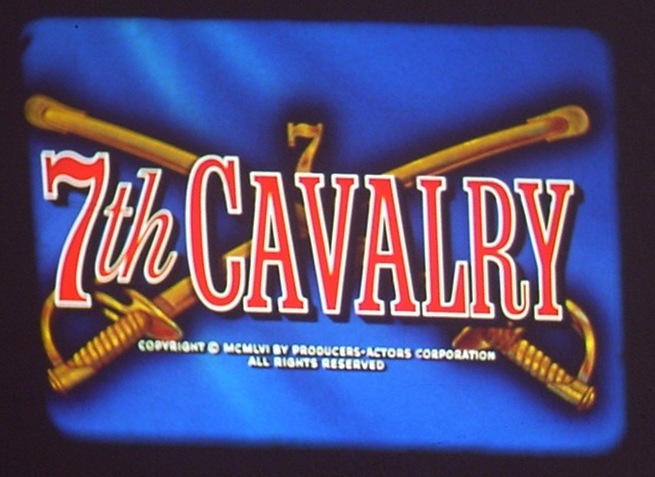 It’d be great to see 7th Cavalry ride onto our TVs looking as nice as the print above. The picture typically has beautiful Technicolor. But with this current release, that’s sadly not the case.